There is sooo much to see in Iceland and there’s no better way than by car! Iceland still has an extremely low population (under 350k! ), so the roads are too easy to navigate because, well, there’s literally one main road. And the best part….. NO traffic! I know all you LA readers are just jumping out of your seats right now! Driving down the southern coast, you will see volcanic rock covered in moss for miles and it will feel like you have Iceland all to yourself.. magical. Iceland is very similar to driving in the USA, but you should definitely note these 15 culture tips/laws to avoid hefty fines & a lot of angry Icelandic drivers, ha! Please be mindful that this post contains affiliate links. I may receive a small commission (at no extra cost to you), that goes directly towards little Rosie’s dog treats! This was the number one tip I read before traveling to Iceland. I did a short, 6 day road trip down the southern coast and was on the main roads almost the entire time. There was only one time where I had a scare of my phone maps not working but other than that, I had service pretty much the entire time! If you plan to do the entire ring road then I would definitely suggest buying one ahead of time. The service is far more scarce once you start heading towards the east and north side of the island. One thing I want to mention is if you plan to use a GPS, buy one in advance. Car companies will charge you an arm and a leg for a one week rental! I would recommend something like this! You seriously never know what you’re going to see! I stopped everywhere I saw cars pulled over and it never disappointed! I know how tempting it is to rush through your drive because there’s sooo much to see, but take your time, stop and smell the Nootka (literally)! It will be so much more enjoyable I promise. People aren’t lying when they say gas stations are scarce. Gas is sooo expensive in Iceland so it’s tempting to put it off as long as possible, ha! BUT if you get stuck on the side of the road, you will be screwed because it could be an hour before someone passes by you. The car rental companies will try to sell you every car insurance under the sun – Insurance for … gravel scratches to the underside of the car, are you kidding me!? I got the basic package that covers the most common damages & was perfectly fine. I would only recommend upgrading your package if you are doing a lot of off-roading or driving in the winter. You will see a lot of these when you are starting to drive into a major city. These will take a picture of your license plate and mail you an extremely large fine! Like $350 – $900 USD kinda large! The signs look like this… so be on the lookout! The left lane is used for passing NOT driving! Why I didn’t see this tip anywhere before I went I’m not sure… but I got seriously honked / flashed lights at for this one! When there are two lanes, the left lane is only used for passing! People will get MAD if you don’t follow this, ha! Keep your lights on at all times of the day! Iceland is overcast 99% of the time so it’s important that you keep your lights on at all times of the day! And yes, even in the never-ending sunlight days of June. Make sure you are renting an automatic – most are not! Make sure you specify with your rental company that you want automatic NOT manual transmission with your rental car (unless you prefer manual). Most rentals are manual and will charge you a little extra for an automatic. This is normally noted somewhere in your rental car, but just in case of an emergency – you can never be too prepared! Don’t drive when you’re tired – never ending daylight can be fooling! This is something that I never even thought of until someone mentioned it to me. The 24 hours of day light in the summer is so deceiving! It will be 11pm and it will feel like 2pm! If you’ve been driving for a long time, make sure you take breaks before you start getting tired! That is the number one cause of accidents in Iceland so be careful. Road numbers that start with F require a four-wheel vehicle (4×4)! Road conditions are very unpredictable in Iceland & like I said above, there are few drivers on the road. If you get stuck.. you might be there for a while! Make sure your car rental does not have mileage limits! Okay, listen up because this one is soooo important!! 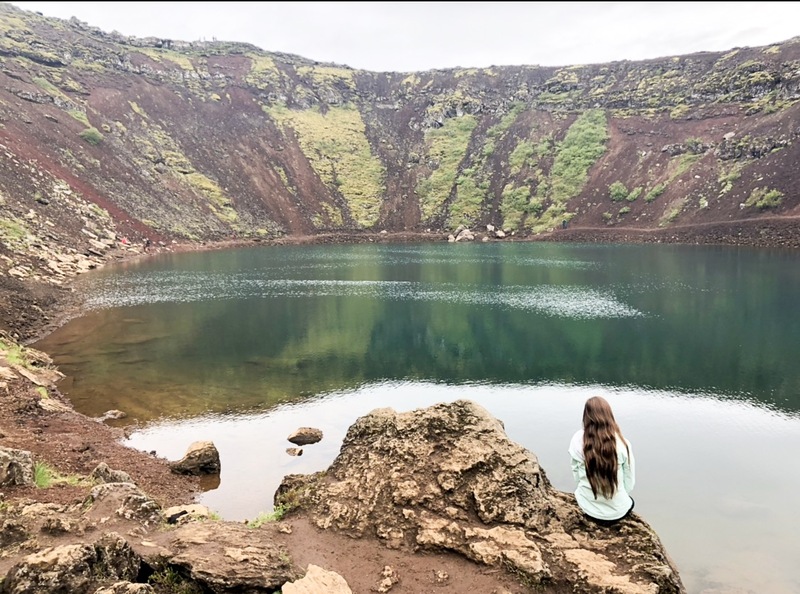 If you plan on just driving around Reykjavik then don’t worry, but if you plan to use My Iceland Road Trip Itinerary, you’ll be driving 250+ miles! It should say online when you book but if not, always always always call and ask. Your phone will die before you can say golden circle! When driving, the service is limited so your phone is always roaming. Plus you’ve gotta be playing music if you’re doing a road trip, duh! Am I missing any tips? Share in the comments below! Nice post, what time of the year did you visit? In the summer, end of June! It was beautiful (still cold), but not freezing, ha!